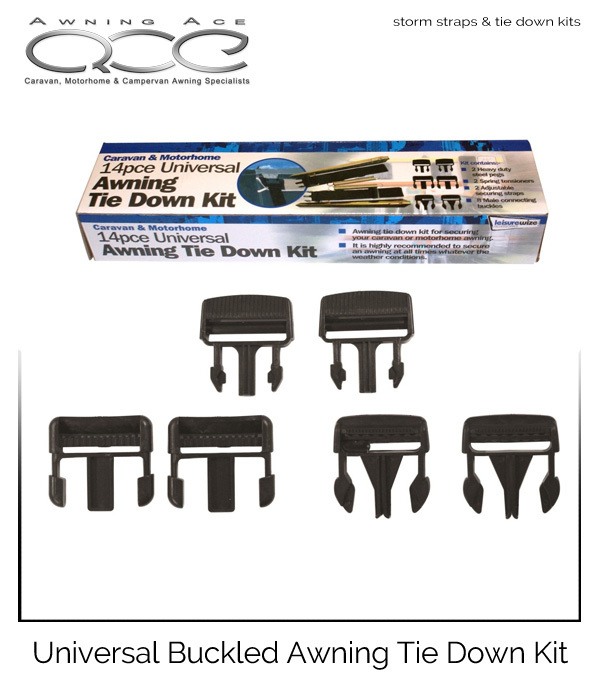 Leisurewize Universal 14 piece awning tie down kit has be designed to fit the vast majority of awnings with integral female buckles sewn into the awning. Tie down or storm kits are used to provide additional awning stability during inclement weather conditions, however it is recommended to use a tie down kit in ALL weather conditions for lightweight and inflatable awnings. 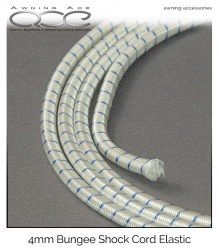 These tie down / storm kits provide additional anchorage directly to the awning flysheet via reinforced female buckles sewn strategically to the material by the awning manufacturer. 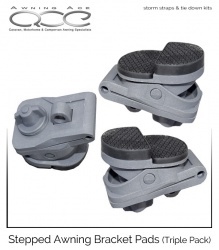 Simple choose the compatible corresponding male connecting buckle; clip together and peg out using the heavy duty straps, tension springs and pegs. 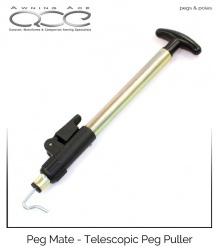 Telescopic Peg puller - take the back strain out of extracting your pegs. 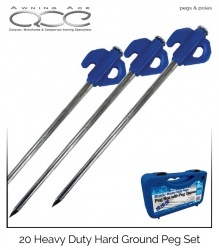 Allowing you to stand up and use the power in your legs and arms to safely and quickly extract your awning pegs with ease. No need to crawl around in the grass, the Peg Mate makes things simple. 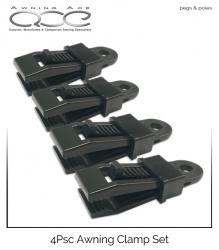 Awning Bracket Pads are used to connect your awnings frame to your caravan without permanent screws or fixings. 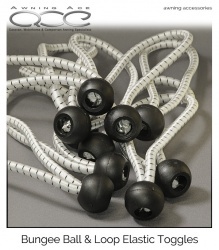 Simply lock the bracket pad to your awnings internal 4mm beading (sewn directly onto almost every full awning) and slot the awnings internal frame pole into the loop. The awnings tension together with the beading maintains a secure awning pole fitting without causing damage to your caravan or motorhome. These pads can be used either flat or stepped, you choose what best suits your awning and caravan combination.